So here it is, merry Xmas. At the time of writing anyway, it’s time for Xmas again. Tis the season to spend irrationally on people we both care about and are indifferent about. 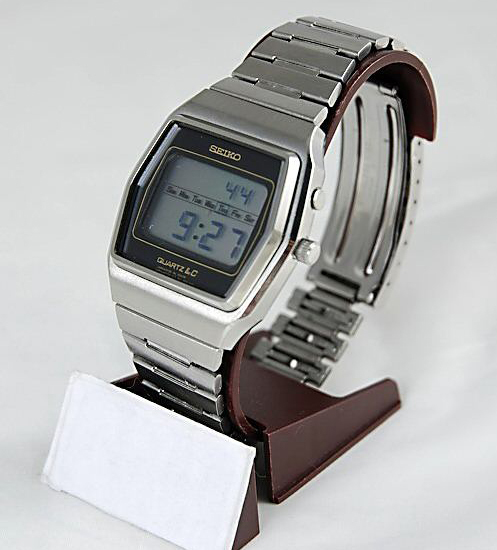 For the former, no gift can possibly say “I LOVE YOU” like this fantastic retro Seiko LCD watch. It has all the usual features you’ll need, as well as an impressive wee box round whatever day of the week it happens to be. A nice retro touch there. 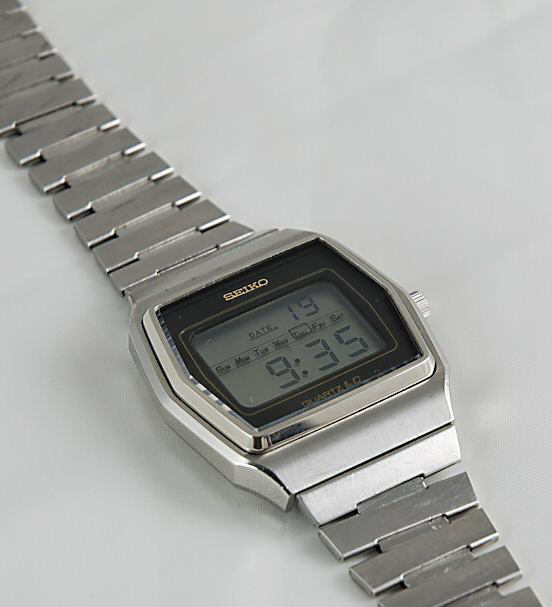 The shape of the watch is six sided (any boffins know what a six sided object is, answers on a postcard) and has the classic Seiko gold logo with black outline raised at the top of the watch. 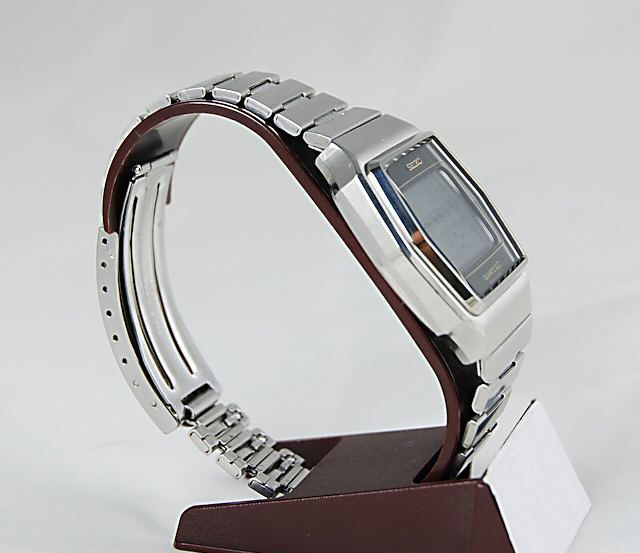 Original branded Seiko strap, this watch is a simply wonderful piece which will be warmly received by its new owner. So don’t be a Psycho, be a SEIKO! You see what I did there?? Hej John, alas this watch isn’t in stock at the mo… I have new Seiko watches coming in soon though… keep an eye on the site! can you give me any details on what you have coming please? Sure… I will email you details before I put them on the site! Ahha.! 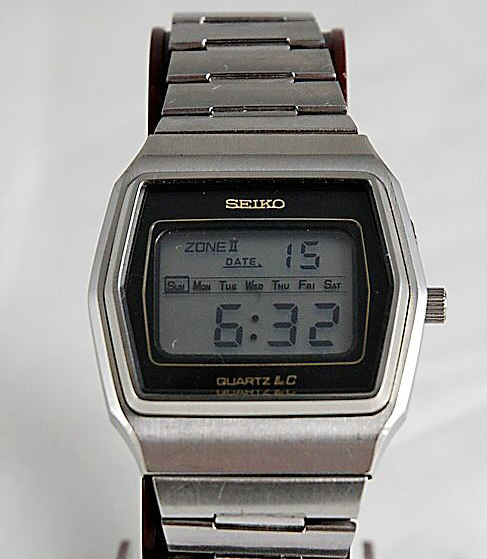 Another vintage classic Seiko Quartz LC from 80s, have very smooth stainless steel finish with beautiful glass and has unique time setting feature with crown. Hi, I would just like to enquire whether this Seiko watch is indeed in stock or not. I am very interested in buying this watch and would be deligthed if it is in stock. 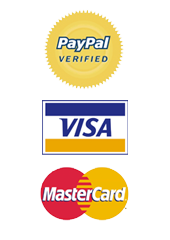 I have enclosed my e-mail address so that you can let me know if it is in stock or not.